It's FRIDAY ya'll, can you believe it? Where has the time gone? Hey, I'm not complaining, just looking forward to seeing the sun. Now, it is time to get sketchy. 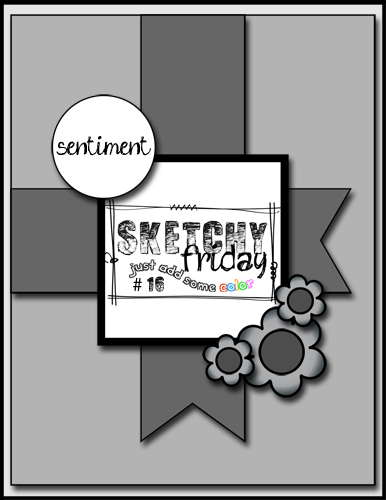 Today at Sketchy Friday, it is time for another brilliant sketch. Don't you love those banners? I know I do. I LOVE anything with banners or fishtails. 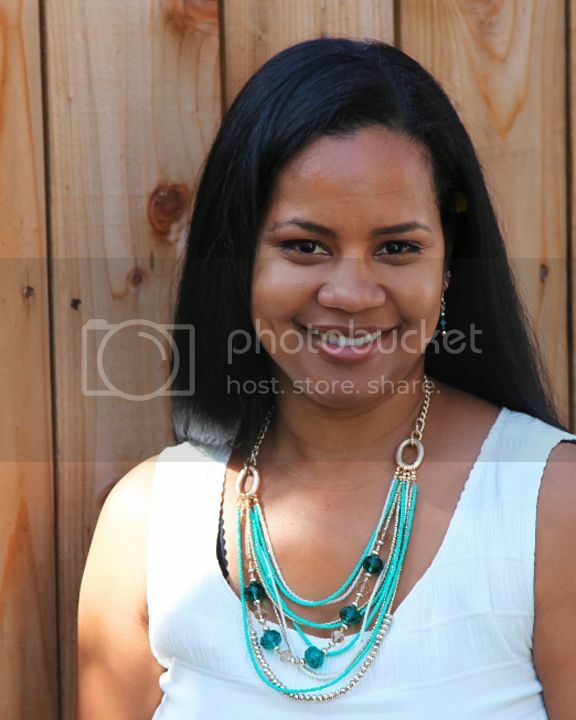 I love how my card came out. My gorgeous little fishy was colored 4 times. I was initially going to go with a more goldfish...then later in the week, I changed my mind. I decided to add a different color of shading, but that was a mistake. So I recolored the entire image. I'm so glad I did, because I LOVE it. You can see a little bit of the orange/yellowish hues peeking out through the blue-ish green. 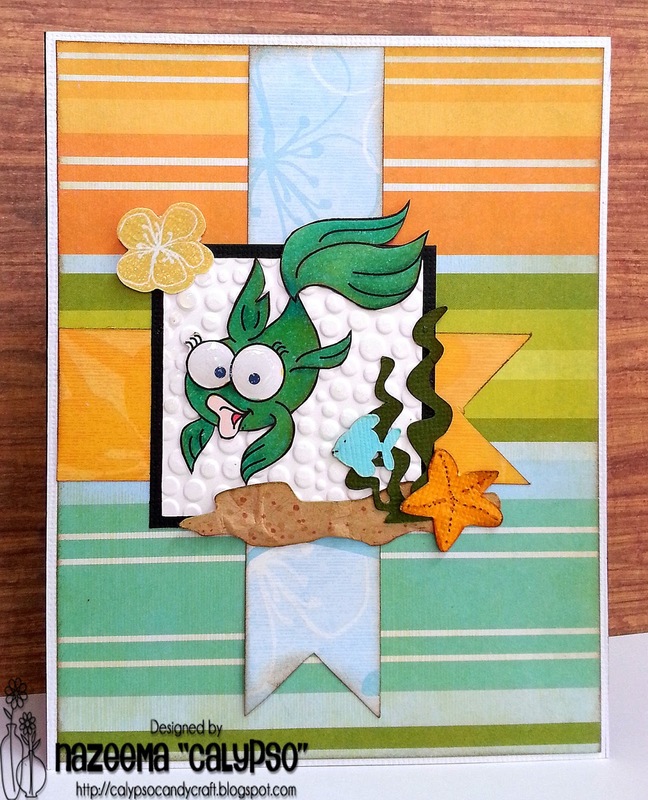 I cut underwater elements using my Cameo, to create a more underwater scene to my card. 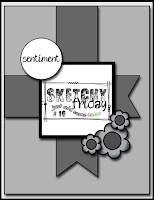 So join us this week and show us what you can do with the this weeks sketch.